This helps to speed up the healing process and dramatically reduce heel pain levels in a short period of time. The greatest incidence of heel pain is seen in middle-aged men and women.It is also seen in those who take part in regular sporting activities and those who spend long periods on their feet. Shockwave Therapy is a treatment modality for heel pain and Achilles tendonitis that has not responded to anti-inflammatory treatments. Our Laser therapy is able to target areas of infection directly without any of the risks or side-effects associated with oral medications. 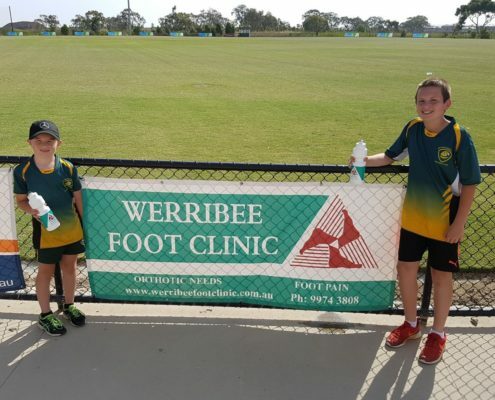 Here at Werribee Foot Clinic we provide the latest technology in foot orthoses that provide lower leg and foot to support to hold the foot and ankle in the correct position and correct foot drop. Werribee Foot Clinic is a privately owned facility, which has been caring for the feet of Werribee, Hoppers Crossing, Tarneit, Point Cook, Wyndham Vale and Truganina since 1993. Our commitment to providing the best treatment available means you get back on your feet and walking pain-free quickly. Our online booking system lets your easily check Podiatrist availability and book an appointment online. Our helpful staff are also a quick call away and ready to book you in at the next availability. To ensure optimum health of your feet, we recommend regular checkups. This way any long term issues are monitored and recurring injuries or changes in condition are dealt with swiftly, to get you back on your feet faster. Our Podiatrists maintain a high level of training and professional standards to ensure you receive the best level of care. Considering Ingrown Toe Nail Surgery? http://werribeefootclinic.com.au/wp-content/uploads/2018/10/logo-maroon.png 0 0 supermonkeystrength http://werribeefootclinic.com.au/wp-content/uploads/2018/10/logo-maroon.png supermonkeystrength2017-03-07 23:18:052018-08-20 23:18:35Considering Ingrown Toe Nail Surgery?